WESTPORT IS AIMING to become the first town in Ireland to eradicate plastic straws. The initiative by Westport Tidy Towns committee is part of its entry into the 2018 national competition. The Mayo town has received a commitment from all vintners in Westport that they will only use biodegradable straws from 1 June. Rhona Chambers, a member of Westport Tidy Towns committee, is hopeful that coffee shops, takeaways and supermarkets in the town will also be persuaded to replace plastic straws with biodegradable alternatives. It is very likely that all the other businesses in the town will come on board. The local businesses in Westport always get behind the initiatives of the Tidy Town committee and understand its importance for the town. ”We are a coastal town and want to preserve the wildlife and nature in Westport, so getting rid of plastic straws helps us to do that,” Chambers said. The eradication of plastic waste is more important than ever, after China decided to ban the importing of plastics from European countries. China took 95% of Ireland’s plastic waste in 2016, but the ban which came into effect this year means that’s no longer possible. With Ireland being the top producer of plastic waste in the EU, a number of businesses around the country have set up initiatives to reduce their plastic output. The Westport committee is eager for other businesses in the town to join the plastic straw initiative by next month’s deadline as the busy tourist season will see an increase in plastic waste. ”Westport’s population is set to grow from 5,000 to 25,000 during the busy tourist season, the involvement of other businesses is crucial to ensure the Mayo town is free of plastic,” Chambers said. Westport has won the Tidy Town national prize three times and works closely on other sustainability initiatives including allowing customers to leave plastic packaging in-store after they do their shopping at Kavanagh’s SuperValu. Westport is hopeful that this initiative will help them win for the fourth time, with the idea to get rid of plastic straws coming from the transition year students on the junior Tidy Towns committee. 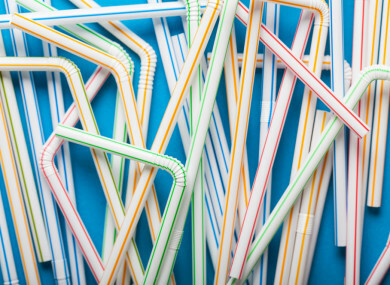 Email “Westport to become Ireland's first plastic straw-free town ”. Feedback on “Westport to become Ireland's first plastic straw-free town ”.